Aerialtronics is an end-to-end solution developer that utilises drones, artificial intelligence and IoT data to provide businesses with augmented and actionable insights that create a perfect synergy between aerial applications and everyday business operations. The Altura Zenith sets a precedent for the design of unmanned aircraft systems, by combining state of the art technology with remarkably flat, compact and lightweight design. 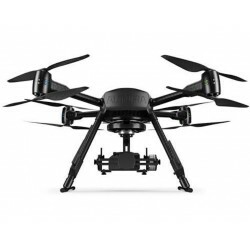 This multirotor aircraft system meets a wide variety of application requirements without compromising on design. Fly tomorrow’s innovation today.